To collaborate and to ensure that the clients’ needs are met has always been the principal priority at DNS Accountants. Pleasant frequent interactions with customers and highly skilled associates have made clients, and customers enjoy their experience with DNS Contractor Accountants in Ashford Kent. Persistent staff has taken the company to great heights. Soaring high, DNS has been highly respected and recognized in the UK for over ten years. The company has its offices in Watford, Reading, Harrow, and Euston (London).We have an imperative goal of a hundred percent customer satisfaction that is being delivered with commitment and probity. For more than nine years, DNS is being monitored by the Chartered Institute of Management Accountants (CIMA). The company aims at battling key issues faced by today’s contractors and start-up businesses and have custom made services to meet their requirements. The company’s expertise lies in small businesses, contractors and freelancers, construction industry, landlord and property tax, business start-up services and much more. The team comprises of various members who are highly qualified and educated. We, at DNS, cater to over two thousand businesses seeking advice of our trusted accountants in various fields. We were also awarded the 2016 Most Innovative Accountancy Firm in the UK. DNS Accountants builds its passion of happy clients and provides tax efficient solutions & also we are among the top 10 contractor accountants in Ashford Kent. Ashford is a town in the country of Kent. It lies along the River Great Stour and is about sixty-one miles away from London. It has a population of about seventy-four thousand. Ashford has always been a communications hub since it has stood at the centre of five railway lines since the 19th century. The arrival of railways is what first sparked the economy of this town. A 2011 census report revealed that the borough of Ashford saw the largest population jump in Kent with an overall 14.6 percent rise. The increase in the town's commercial importance, as well as its strategic location, is witnessed by the number of industries, businesses and retail parks in the town. Ashford has been named the best place to do business in Kent. According to a study, excellent road and rail links have helped the town wrestle to the top. The proximity of Ashford to the capital, along with its location and available sites have made this town very likable. According to the survey, almost three in five people said Ashford has improved as a business location and will continue to do so. It will grow to be the most economical town in Kent. The town has also been included in KCC’s Expansion East Kent scheme which offers interest-free loans to businesses that are looking forward to expand and create jobs. This website is designed to promote new businesses in the town. All this predominant growth has led to a number of tax accountants in Ashford Kent and small business accountants in this area. 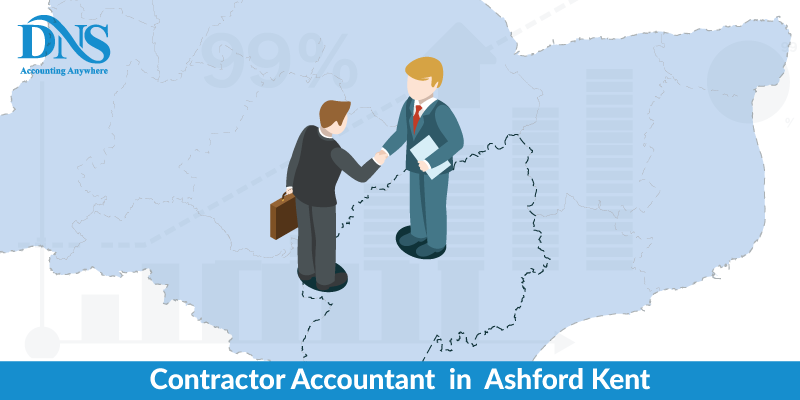 The huge demand has also led to the increase in professions such as chartered accountants and IT contractor accountants in Ashford Kent & nearby places. Online contractors accountants seem to be on a rise due to increased connectivity and convenience. Tax accountants dictate the specific rules that companies and individuals must abide by while preparing for their tax returns. Hence, crucial for start-up companies and businesses. Contractor accountants help a variety of employers sometimes making a permanent place in a company. Tax accountant, Ashford Kent h3 heading tag: Just started your own company? DNS Accountants are here to help you with all your tax filing. The company has various experts who help with decreasing liabilities and taxes well on time. Our company tax accountants work closely with blooming companies, entrepreneurs and acquisitions. 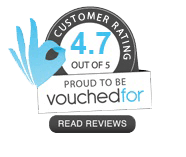 Chartered accountants, Ashford Kent h3 heading tag: The chartered accountants of DNS Accountants provide a skilful approach in creating accounts, auditing, and consulting. We have the best team on board to help you with their skilful approach and take your company to a great financial height. Auto Enrolment is a legal requirement for businesses. It provides the Qualifying Workplace Pension Scheme (QWPS/WPS) to eligible employees. It is mandatory that businesses make a contribution towards the employees’ pensions and make sure that both the employees and the employer’s pension calculations are up to the mark. DNS are perfectly placed to ensure that you meet this legal requirement, and youare able to provide the payroll so as to comply with the laws of the government and HMRC. All the clients get free access to one of the leading growth and marketing systems in the world. Giving it free to the clients is a huge commitment from the company’s perspective and it happens to demonstrate the commitment at DNS Accountants. With the specialist group of talented people who will be associated with you, you will see rapid growth. We look forward to helping you build a better business. We have the team, the skills, the knowledge and the expertise to guide your path. So wait no more, request your meeting today. Why should you choose us for this service? We offer virtual certification for our professional advice we give. You also get your very own accounting software to check your accounts conveniently. With experience and expertise, we, at DNS, have been able to create a name for ourselves in the corporate world. It is our hardwork that we have been able to spread across towns and cities like Appledore, Maidstone, Strood, Canterbury, Dover and Bexhill. With a wide range of accountancy services provided, we have been able to help businesses across many verticals and domains.